Radhanath Swami practices and teaches Bhakti-yoga where the aspiring spiritualist is encouraged to worship a personal God. A friend of mine confirmed to me the realizations of Vishaka Sharan Baba and of Radhanath Swami regarding the personal aspect of God. He revealed how both the Bible and the Holy Koran repeatedly refer to God in a personal, humanlike way. For example, the Bible talks about “under His feet” (Exodus 24:10); “inscribed with the finger of God” (Exodus 31:18); “the hand of the Lord” (Exodus 9:3); “the eyes of the Lord” (Genesis 38:7); “the ears of the Lord” (Numbers 11:1). Ezekiel (1:26) describes God as having “the semblance of a human form.” Such phrases permeate the biblical literature. Similarly, in the Quran, there are references to “the face of your Lord” (055:027), “under My eye” (020:039), “under our eyes” (052:048) & (054:014), “the hand of Allah” (048:010), (038:075) & (039:067). Radhanath Swami reasons that when we want knowledge about physics, we refer to the authorized textbooks of physics. Similarly, when we want knowledge about God, should we not refer to the authorized textbooks about God – the scriptures? The scriptures of the great religions of the world repeatedly refer to God in a personal, humanlike way. Radhanath Swami also learnt the lesson of balance staying with Vishaka Sharan Baba and his followers. These old sages gathered around their radio, listening to the evening news broadcast of the India-Pakistan war. They would cry tears of sympathy hearing about the bloodshed and after switching off the radio they immersed themselves in discussing the Lord and would soon be bubbling with joy. They were also simultaneously absorbed in a spiritual reality beyond birth and death as they were distressed by the human suffering surrounding them. Thank you very much Radhanath Swami for sharing such incident. Our faith on the God as a person increases by seeing such examples. Isn’t it very heartening to know GOD as a person with whom we can have loving exchanges? “A natural result of this love for God was love for God’s children”. This is such a deep lesson. We cannot claim to to Love God and hate others. All religions claim that God is the supreme Father. In our practical experience our father is a person => supreme father would also be a person. Now to approach that person is the process of Bhakti. Amazing meditation by Radhanath Swami. Radhanath Swami elucidatedly explains the needs of mind body and soul. 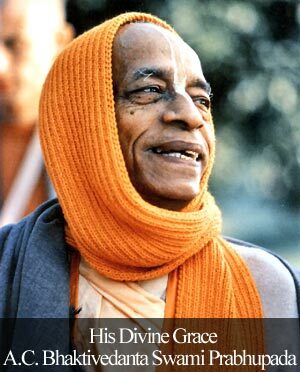 “If one begs for God’s love like a starving man for food, the lord will bestow that rarest treasure.” — what a lovely realisation of Radhanath Swami. Thank you. Thank you for sharing how Radhanath Swami showed true compassion. Nice article. Balance is important in almost every aspect of life. Also, some nice examples from other scriptures that prove that Man was made in the image of God. Only a personal God makes sense to me. Impersonal understanding might give some peace of mind, but one cant call that God. Radhanath Swami Maharaj explains the unlimited sweetness of the Lord! Radhanath Swami Maharaj explains the sweetness of Lord so sweetly! Really, Radhanath Swami is the personification of compassion. All glories to Radhanath Swami. Thank you very much for sharing such a nice incidence. 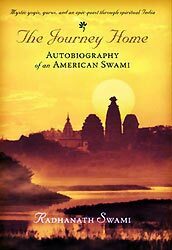 Thank u Radhanath Swami for teaching us to see each & every situation of our life as a mercy of Lord & accept every moment with positive attitude. Nice explanation on the qualities of Radhanath Swami. 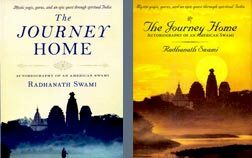 This sense of balance is one of Radhanath Swami’s most endearing qualities because he seems to understand and empathize on a personal level with anybody’s difficulties, and at the same time brings in the context of perfect philosophy. It’s Radhanath Maharaja’s compassion which has sheltered so many of us. Radhanath Swami has unlimited compassion for others. Radhanath Swami is an ocean of compassion. Radhanath swami maharaj is inspiring every one by his example and the results which he has given to the society.